Having used the excellent Canon 17-40mm f4.0 L lens for most of my landscape photography since 2006, I have now upgraded to the rather superb Canon 16-35mm f4.0 IS L lens. Until this lens came along I had no intention of considering another wide-angle lens from Canon, with the exception of the TS-E 17mm f4.0 L and Canon TS-E 24mm f/3.5L II, two lenses which I have dreamt of owning. The 16-35mm f4.0 IS L lens, however, got my attention when it was announced recently, and was proclaimed as Canon’s finest ultra wide-angle zoom lens to date, with superior optics to the 17-40mm f4.0 L and indeed the 16-35mm f2.8 L II. The first thing I noticed about 16-35mm f4.0 IS L compared with my 17-40mm f4.0 L when I received it is the increase in length compared with the 17-40mm f4.0, as shown on my side by side comparison image above, it’s little heavier than the 17-40mm, too. 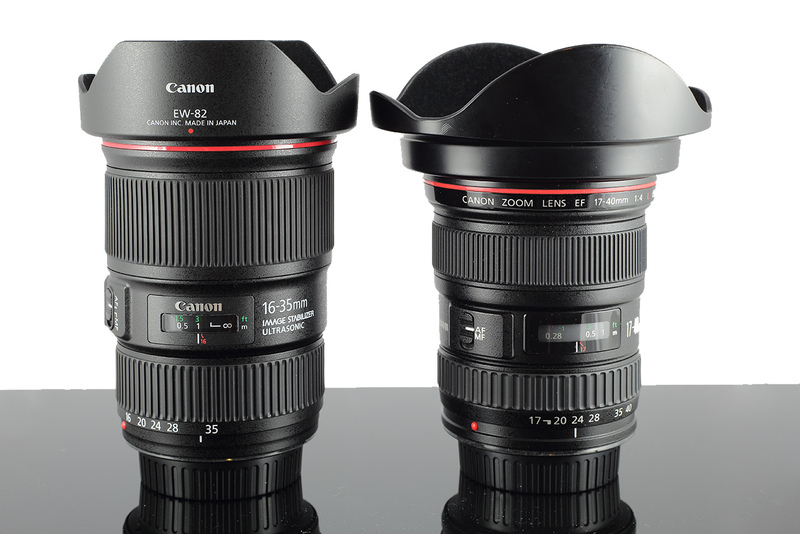 The build quality feels the same as the 17-40mm, quite solid and is resistant to dust and water. I love the lens hood on this lens as it is much slimmer than the 17-40mm making it easier to store. The lens hood also has a little push tab that locks the hood in place and removing the hood requires pushing the tab. 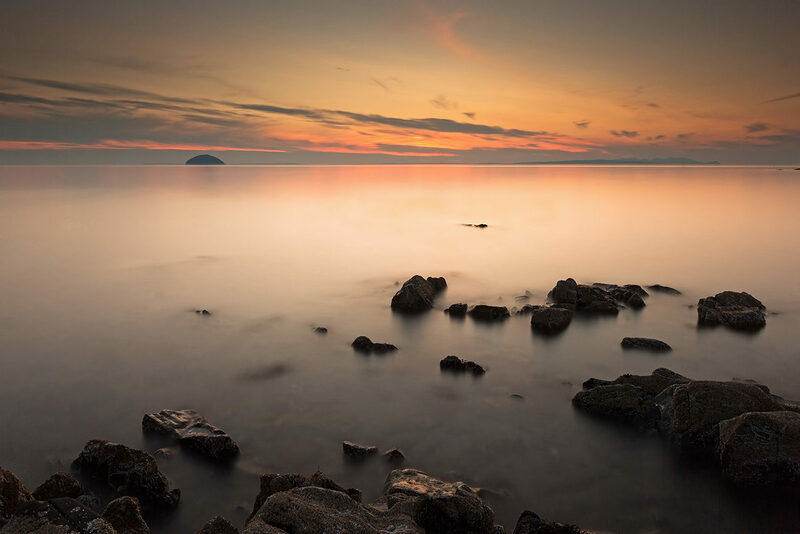 The 4 stop image stabilization is a nice feature to have especially in places where a tripod might be prohibitive or in situations where you do not have time to set up a tripod and just have to grab and go. Shortly after receiving the lens I promptly set off down to the West coast as the weather forecast was looking good for a nice Sunset. The Sunset was not spectacular as I had wished for but I didn’t care anyway as I was eager to take some photos to see how the lens compared with my 17-40mm f4.0 L, and to examine the RAW files at 100% when I got back home. The image below is the one from the coast, 118 second exposure at f16, ISO 100, 20mm. Even before doing a comparison with my 17-40mm lens, I knew this lens was optically superior when viewing my coastal image. I preferred the warm white balance that I had set in camera for this shot. To try and find out the optical quality of this lens compared with my 17-40mm f4.0 L lens, I decided to take a series of test shots (full res files available below) at various apertures and focal lengths and then compare them side by side. The settings for each lens were: 16mm, 17mm, 35mm, 40mm and f4.0, f8.0 and f16. shot with mirror lockup and tripod mounted. 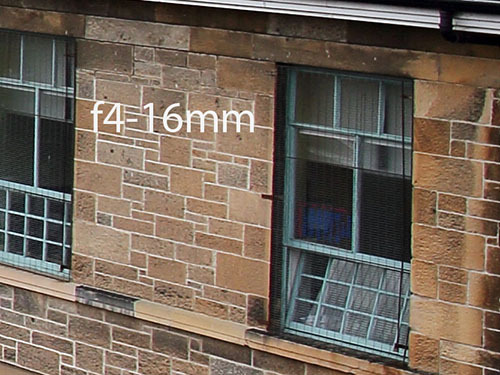 Please note, there is slight CA (chromatic aberration) exhibiting from the far left of the 16-35mm f4.0 IS L images and none from the 17-40mm f4.0, even though the lens aberration correction is enabled in camera, I think this is because Canon has not released the 16-35mm f4.0 IS L lens data for DPP yet. All these images have been processed in Canon’s DPP with the same settings for each image. These samples are only to show the sharpness across the frame and are not useful for comparing vignetting or CA, due to the varying light. Click on links below and “save as”. These images are for personal inspection only and not to be used on other websites or publications without my permission. As you can see with the full resolution sample images, the 16-35mm shows much better detail right across the frame to the edges with better contrast too, although at f16 and at 16/17mm, the difference is much less pronounced.